Am I required to take the economics assessment? All students who have an economics requirement in their Elliott School masters program must complete the relevant assessments by June 1 but only if they have completed economics coursework in the past. 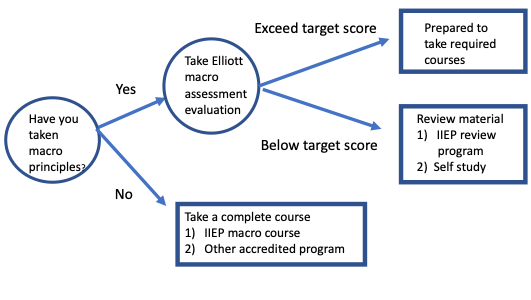 You will take the assessment even if you have completed the formal economics prerequisites for the Elliott School. The idea is to assess your current knowledge of introductory economics before you take your required economics courses. This will help us advise you about how to review over the summer. Do I need to complete both the micro- and macroeconomics assessments? You should complete the microeconomics assessment only if you have successfully completed an introductory microeconomics course. If you haven’t completed an introductory microeconomics course, you instead should complete your required prerequisite micro course. You can use IIEP’s online program to satisfy the prerequisite and can register here. You should complete the macroeconomics assessment only if you have successfully completed an introductory macroeconomics course. If you haven’t completed an introductory macroeconomics course, you instead should complete your required prerequisite macro course. You can use IIEP’s online program to satisfy the prerequisite and can register here. The economics assessments are free. How do I prepare for the assessments? Review your old class notes. Review an introductory textbook like Greg Mankiw’s Principles of Economics. A list of topics for microeconomics review can be found here. A list of macroeconomics topics can be found here. But however you do it, be sure to review your principles work before you take the diagnostic to ensure an accurate assessment. It is impossible to fail. You will simply get a score and a recommendation for a study plan. Your assessment results will NOT affect your status as an admitted student. The Admissions Office will only know whether you have completed the assessment and will not have access to the score. How do I take the assessment? You should take a look at the step-by-step instructions available here. When can I take it? The first round of availability will extend between March 8 and April 30. The second version is available between May 1 and June 1. Can I take it again if I think I can do better? If you take the first version between March 8 and April 30, you can try again between May 1 and June 1. What is the format of the assessments? Each assessment will include 50 multiple choice questions. You will have 60 minutes for each of the assessments. Please be aware that you must complete the assessent once you start. Be sure to have sufficient time to finish without interruption. Can I use outside resources (e.g. course notes, textbooks, or talk to friends) while completing the assessments? How quickly will I get my results? You will get your results immediately after submission since it is machine graded. What do I do once I complete the assessment? 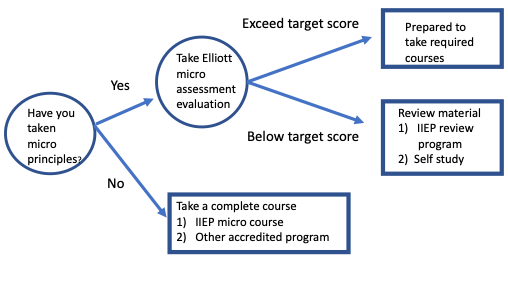 The assessment website on courses.com has recommendations for Elliott School students based on the assessment results. You may be ready to take economics courses based on your current knowledge. 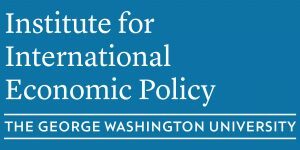 You might also participate in IIEP’s online economics review programs that are described here. Many students find it challenging to review technical material on their own. These programs can be very helpful for such students.